Xiaomi today launched the Redmi Go for Rs 4,499. Here's everything you get for that relatively low price tag. Xiaomi today launched its most affordable smartphone in India called the Redmi Go. The entry-level smartphone from Xiaomi has been priced at Rs 4,499, which seems really impressive for what it offers on paper. 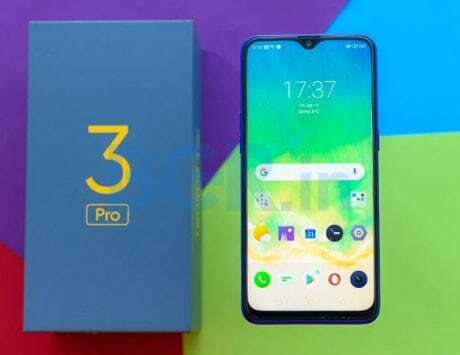 The Android Go edition smartphone built in partnership with Google was first released earlier this year in select markets, and now Xiaomi has finally got it to our shores. 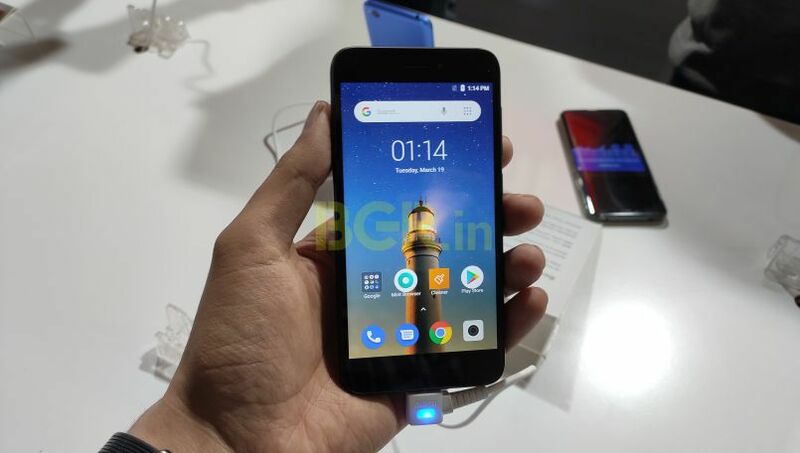 With Android Go, Xiaomi has optimized the Redmi Go with 1GB RAM and 8GB internal storage using Android Oreo (Go Edition) OS, which is specifically built for smartphones with low RAM and memory configurations. 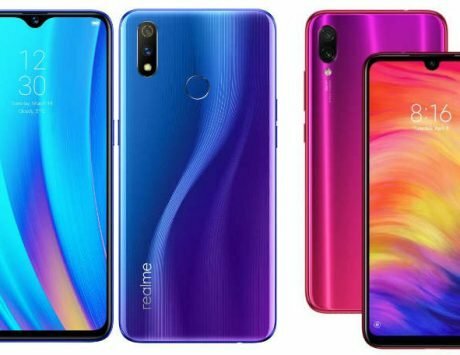 I got a chance to use the device for a little time at the launch event in New Delhi, and here are my first impressions of the phone. First up, the Xiaomi Redmi Go is really compact smartphone that packs a standard 5-inch HD display (720×1280 pixels) with an aspect ratio of 16:9. The smartphone body is made out of polycarbonate and it feels alright for its price. 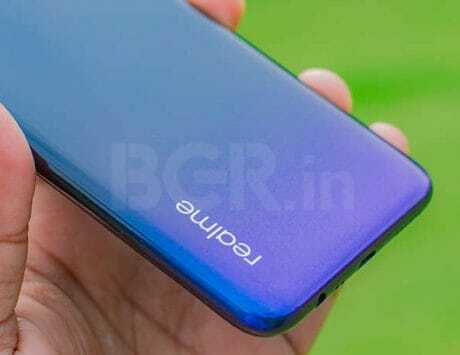 The handset feels thin and light, also it grips well in hands. The back of the phone has got brushed matte finish, so it doesn’t attract fingerprints or smudges at all. Overall, the Redmi Go feels sturdy and a well-finished product for Rs 4,499. Under the hood, you’ll get Qualcomm’s entry-level Snapdragon 425 SoC, which has a quad-core CPU clocked at 1.4GHz. 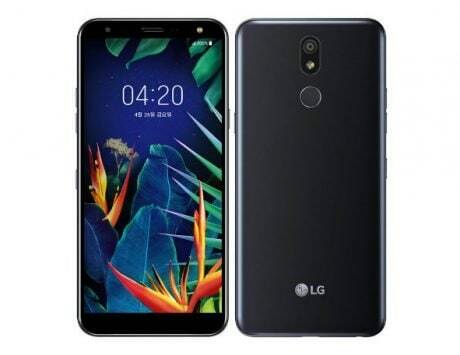 The affordable smartphone offers 1GB of RAM and 8GB of internal storage, which is expandable up to 128GB via dedicated microSD card. 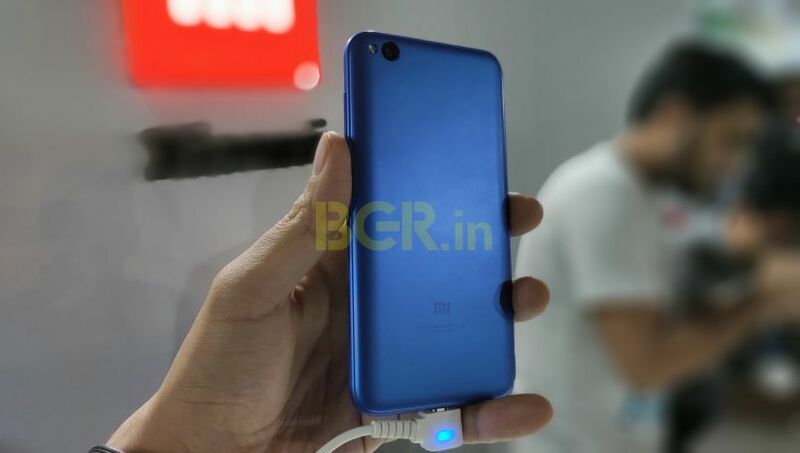 Xiaomi has kept the triple slot option in Redmi Go for India. You can easily use two-SIM cards (Nano-SIM+Nano-SIM) along with a microSD card, since the internal storage is only 8GB. Having said that, Xiaomi says that the Android 8.1 Oreo software is optimized in Android Go edition, which means the operating system takes less space, and you invariably get more storage. I couldn’t check whether Redmi Go allows you to install apps on external microSD card, but if that’s the case then you won’t have any problem with internal storage getting full. 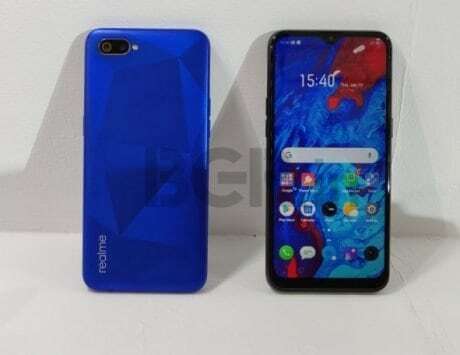 In my limited time with the device, the interface appeared quite smooth, but we will check the real performance of the phone in our detailed review very soon. 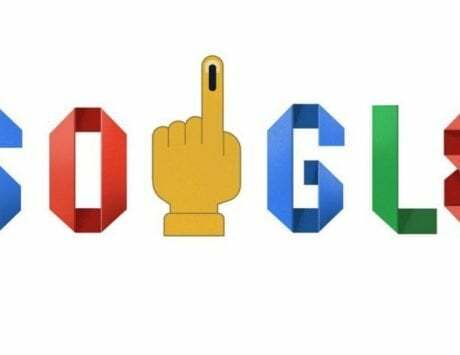 In terms of extras, you get support for over 20 regional languages, and Google Assistant can understand your Hindi, English or mix of Hindi and English (Hinglish) as well. Xiaomi has also introduced Mi Pay payment system in India with Redmi Go. This is a UPI-based payment system backed by ICICI Bank. The app will come preinstalled on the phone. 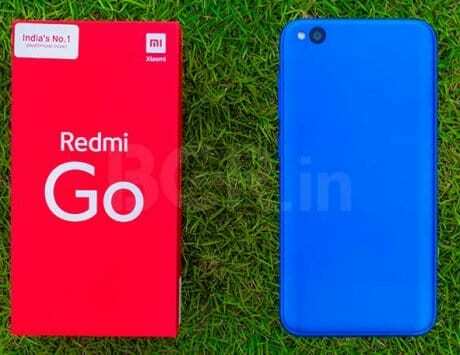 In terms of software, the Redmi Go appears to be out-and-out Xiaomi phone and not an Android Go phone with stock Android. 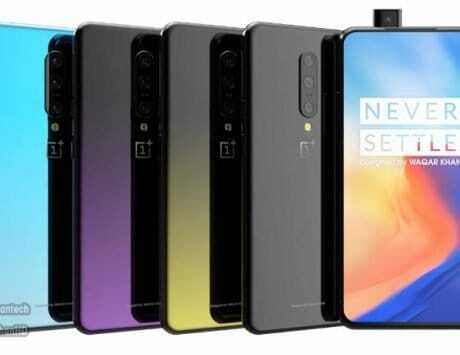 In the photography department, Xiaomi has added an 8-megapixel primary rear camera with 7 live filters and 11-secne mode detection. We could only test the camera for a bit, and it appears fine for the price. 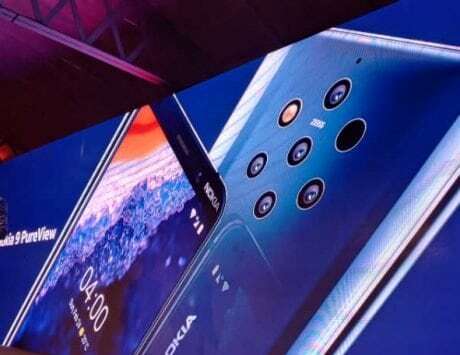 For selfies, you’ll get a 5-megapixel front-facing camera onboard that also supports Auto-HDR feature like the rear camera. We will soon test both the cameras in our full review. The most important part in Xiaomi Redmi Go would be its battery after the Qualcomm processor. The handset is backed by a 3,000mAh battery, which uses traditional Micro-USB charging port for data sync/ charging. There is no fast charging, which is fair looking at the price of this device. Xiaomi claims that the battery is good enough to offer up to 12.5 hours of 4G calling, and up to 10 days of standby time. 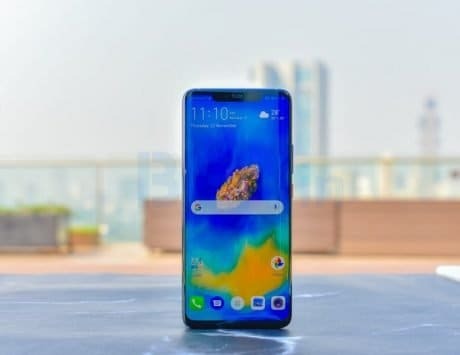 Other connectivity options are standard as any mid-range smartphones which include 4G VoLTE, Bluetooth v4.1, FM radio, GPS, Wi-Fi, and 3.5mm audio socket. 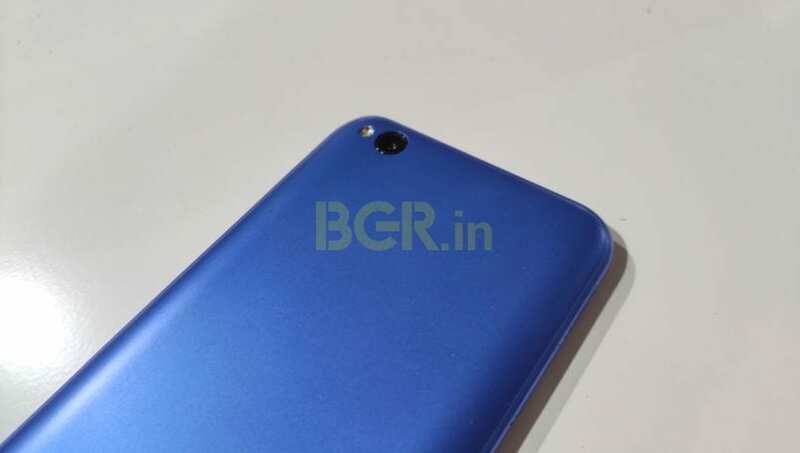 At first, the Xiaomi Redmi Go appears to be a solid phone with really affordable pricing. 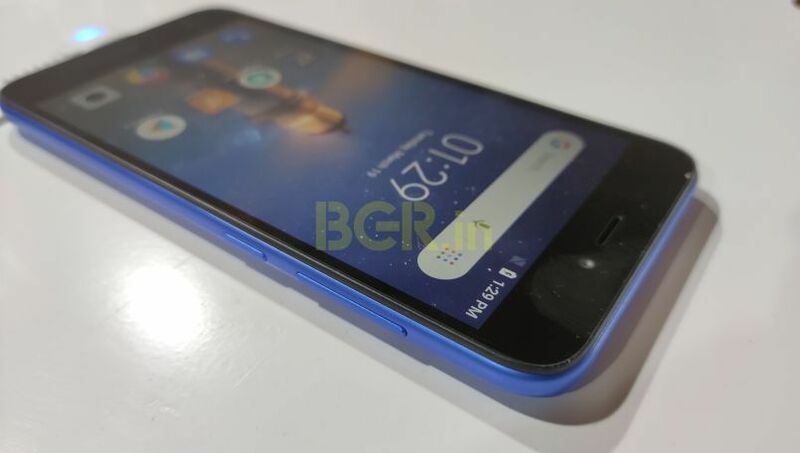 Priced at Rs 4,499, the entry-level Redmi Go is an Android smartphone that consumers with basic needs from a mobile device or consumers transitioning from a feature phone to smartphone would purchase. While the 1GB RAM seems very less for heavy OS smartphone now get these days, but Xiaomi claims that with Android Go, the software has been optimized to a level where it’ll smoothly run Android 8.1 Oreo on the Redmi Go. In our usage time we didn’t find anything to complain about, but you should wait for final verdict in our detailed review, which will come very soon. As it is, the Xiaomi Redmi Go would only go on sale from March 22. The first flash sale on Flipkart and Xiaomi’s own mi.com will take place on the same day at 12:00PM. 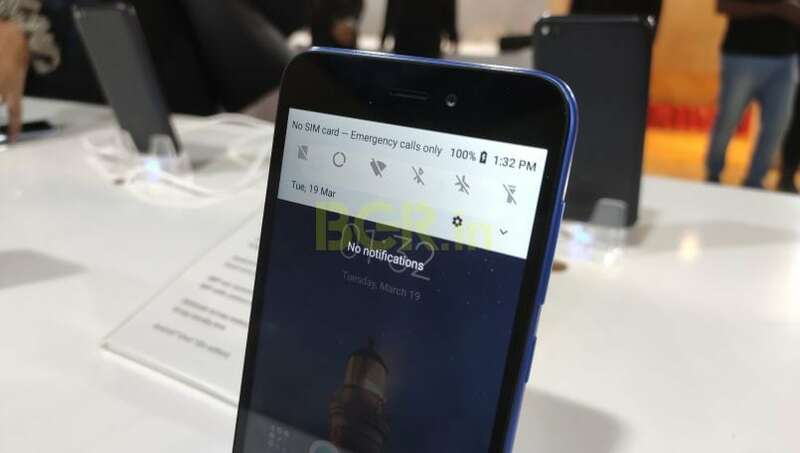 Xiaomi during the launch event mentioned that Redmi Go will also be made available through offline Mi Stores from March 22.